Our Sept. 12 community celebration on Hilltop is coming up fast, and we’ve got more details to share about the fabulous lineup of performances and activities. All performances will take place at the amphitheater in People’s Park. We’ll have some chairs, or you’re welcome to bring a blanket and sit on the grass (or you might just be too excited to stay off your feet!). Among the many things he is—American folk singer, film score composer, piano restorer—Nate Dybevik, of N. Dybevik, is also a 2011 alum of Spaceworks’ Creative Enterprise Program. As part of Spaceworks, Dybevik received a six-month Hilltop residency in a storefront at 1312 MLK Jr. Way that allowed him to consolidate his creative activity, which had been spread across three worksites citywide. 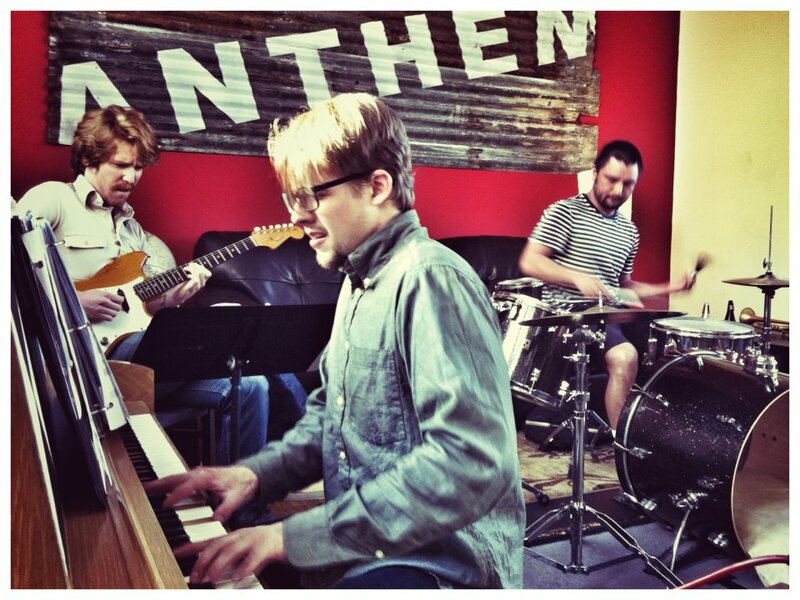 In January 2012, Dybevik transitioned to a lease-paying tenant, and he continues to hold the space as N. Dybevik Piano & Company, rebuilding fine pianos of historic interest or importance and sharing the space with Sean Alexander. You can hear more of Dybevik’s music on Bandcamp—and on Sept. 12, of course—and read more about him in “Sing Us a Song, Piano Man” on the Spaceworks blog. 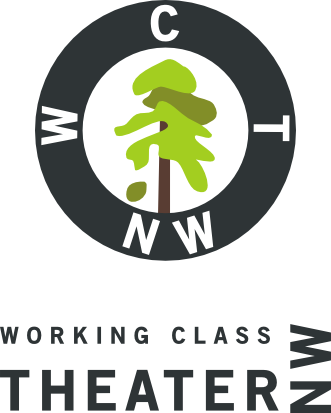 Working Class Theatre Northwest (WCTNW) is the brainchild of Christina Hughes and Tim Samland, who participated in Spaceworks’ Creative Enterprise Program in 2014. WCTNW’s mission is to build community through production of theatre that is socially conscious and relevant to the issues of working class people today. The theatre is currently on Spaceworks’ roster of Creative Enterprises seeking space. You can learn more about WCTNW on their website and by coming to see their performance at 5 pm in People’s Park on the 12th. 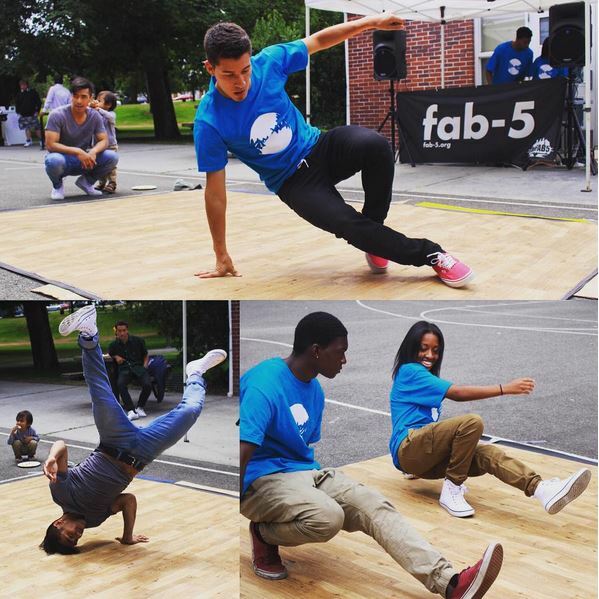 Fab-5 is part of Fabitat: A Creative Lab, where young people come to learn and develop themselves creatively at 1316 MLK Jr. Way. It’s packed with art supplies, music equipment, dance space and instructors who are ready to help artists at every experience level. Fabitat acquired their space through Spaceworks back in 2011 and transitioned to a lease-paying tenant in January 2012. 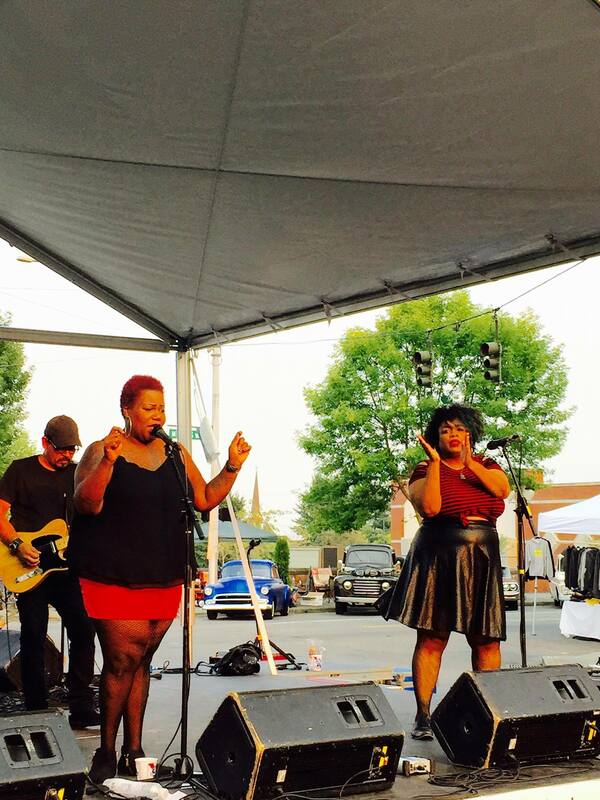 You can check out what they’re up to on their website, Fabitat’s Facebook page, Instagram and at People’s Park at 6 pm on Saturday, Sept. 12. You can hear more of Mirrorgloss’s music on SoundCloud, but for a band described as “best experienced live,” it’s lucky for you that they’ll be playing live at Spaceworks’ community celebration from 6:30-7:30! Don’t miss this performance! In the midst of so many fun performances, make time to check out the many activities that will be provided by Spaceworks’ alums and area businesses. Gallery of Ambition: Gallery of Ambition is a 2013 Spaceworks’ alum and a design and curation company with the purpose of elevating culture. Their mission is simple, “Aspire. Create. Inspire.” At the party on the 12th, they’ll do just that with their signature gold frame photo booth and with apparel and artwork for sale. Northern Pacific Digital: Northern Pacific Digital is a 2014 Spaceworks’ alum and represents the next level of evolution in the digital agency model of services. Truly a one-stop shop, Northern Pacific Digital is much more than simply a web design agency. Stop by their booth to learn more and find out if they could help you. 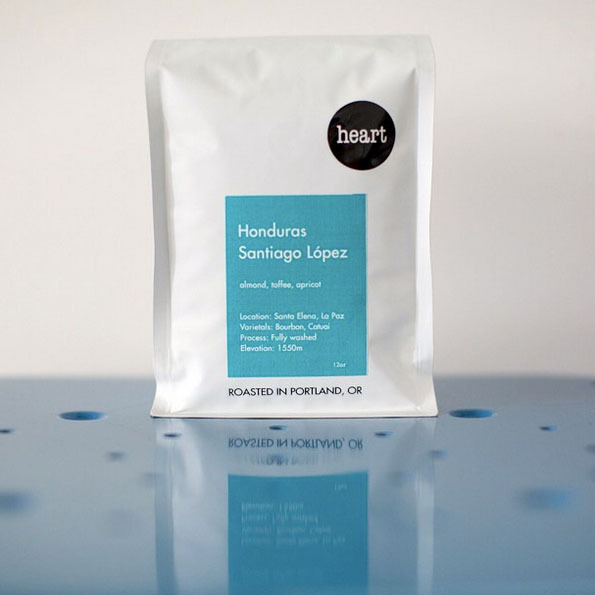 Pop Up Coffee: A 2014 Spaceworks’ alum, Pop Up Coffee is a pop-up café serving black coffee from Heart Coffee Roaster. Stop by their booth to buy a pour-over and whole beans and get a preview of locations popping up at the Pantages Theater and Childen’s Museum. 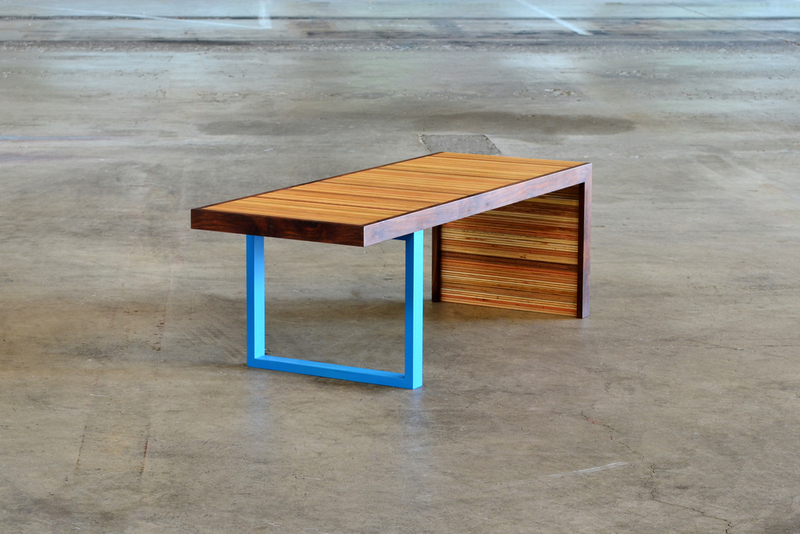 rePly Furniture: rePly Furniture is a 2012 Spaceworks’ alum that has been making plywood beautiful since 2008. Stop by to see their handcrafted, eco-friendly furniture. Sound Movement Arts Center: Sound Movement Arts Center, LLC (SMAC) is Tacoma’s newest (and only) dance, cheer, modeling and performing arts center. SMAC’s booth will offer a raffle for a month of free classes and engaging activities for kids—from coloring pages to hoola-hooping to bubbles and more. SMAC is on Spaceworks’ roster of Creative Enterprises seeking space but is currently operating out of Urban Grace. Tacoma Actors Repertory Theatre: The inaugural season of Tacoma Actors Repertory Theatre (TART) starts this fall! 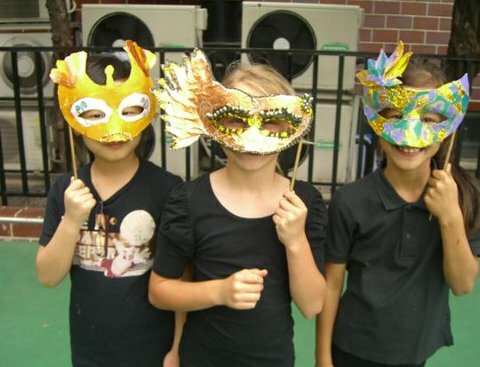 At TART’s booth, children and adults are invited to make their own masks for $10. Plus, be the first to get your tickets to the premiere production’s of this season: Three Viewings and [title of show]. TART is currently on Spaceworks’ roster of Creative Enterprises seeking space. 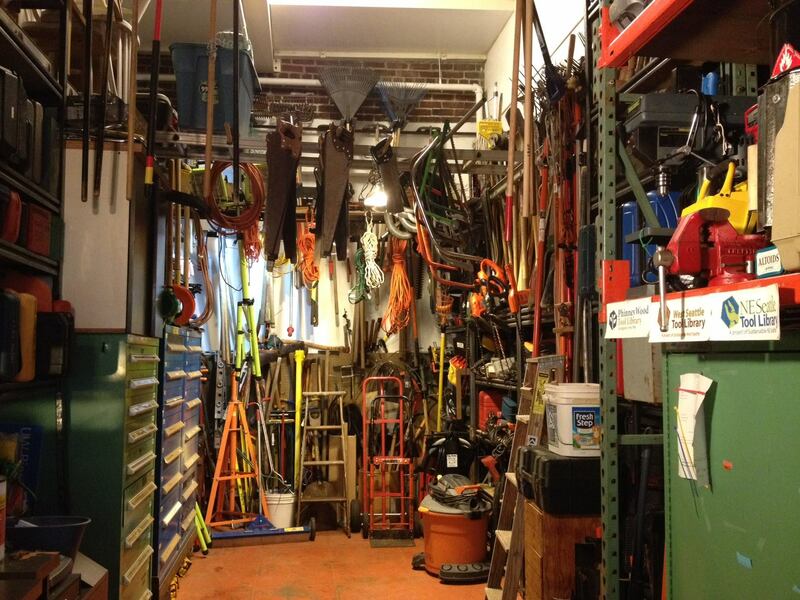 Tacoma Tool Library: Tacoma Tool Library is a 2015 Spaceworks participant and former tenant at the 1120 Creative House in downtown Tacoma. The library is currently working to open a permanent location on MLK that will provide access to shared tools and a safe community space with workshops and fix-it drop-in hours. At their booth, they’ll have antique tools on display and a treadle sewing machine demonstration. Tim + April: Tim + April is a 2015 Spaceworks’ participant that also had a special pop-up shop last year. 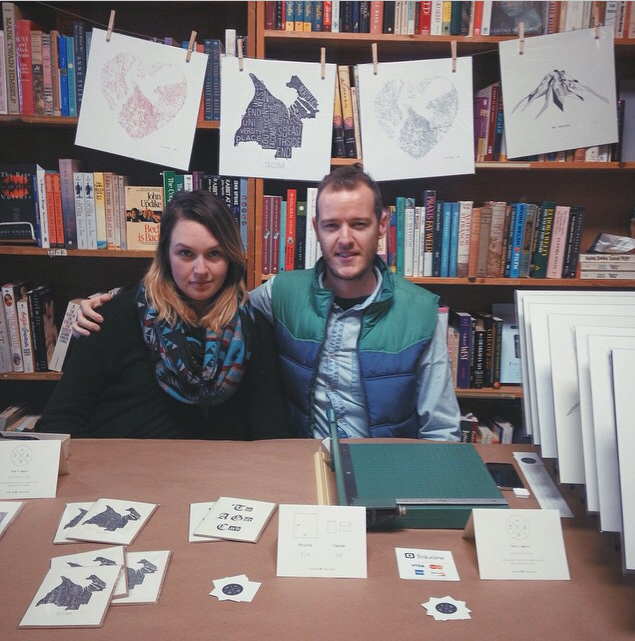 The design duo is focused on selling art prints, plywood furniture and wooden toys, and made the popular Heart for a City maps and the Tacoma Heart Map. At High Five! they’ll have free giveaways, raffles and coloring sheets. Tim + April is currently on Spaceworks’ roster of Creative Enterprises seeking space. 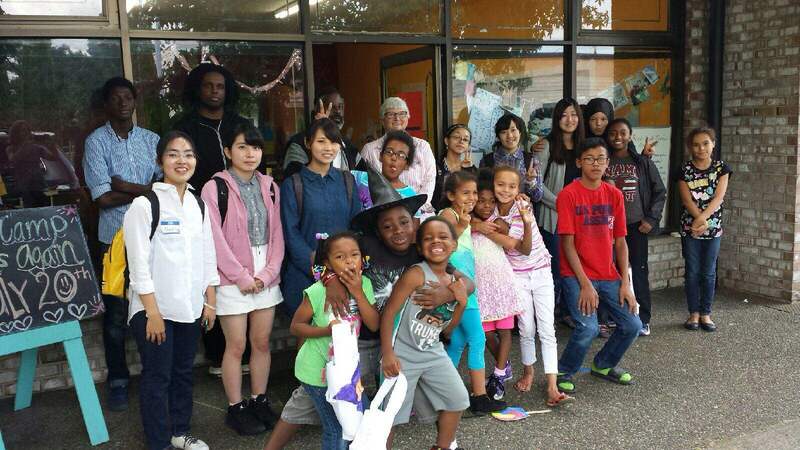 Write@253: Write@253 was one of Spaceworks’ earliest participants back in 2011, and for the past 3.5 years, it’s been operating out of a space Spaceworks helped them acquire on MLK. Write@253 believes that all students—rich, poor and in-between—deserve to have creative and meaningful writing experiences. Stop by their booth for two fun activities: manifesto writing and tape art! 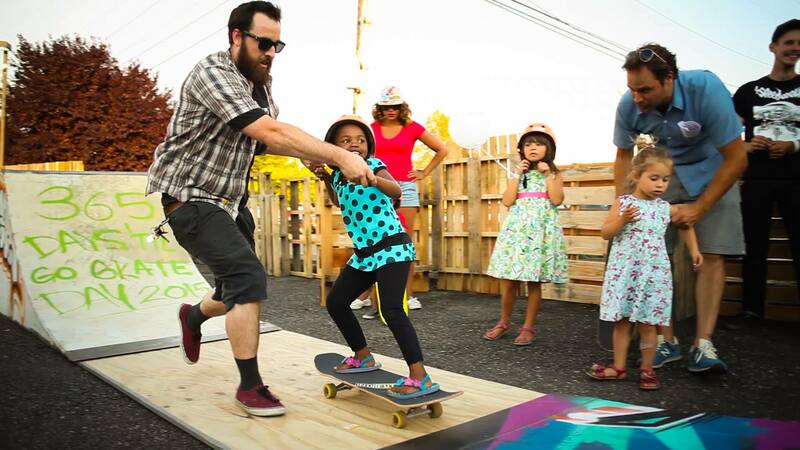 From 4-8:0 pm, Alchemy Skateboarding will offer free all-ages lessons at a ramp just behind the performance stage in People’s Park. 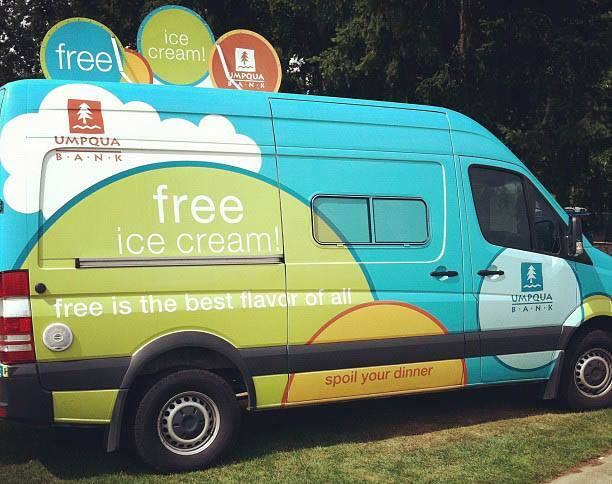 They’ll have a booth in the park, as well. Alchemy Skateboarding is a local nonprofit that provides youth with opportunities to learn and grow through skateboarding, envisioning a future where skateboarders are recognized as positive contributors and an integral part of the greater community. They’re a 2015 Spaceworks’ participant and recently opened Tacoma’s only indoor skate park behind Grit City Grindhouse, a 2013 Spaceworks’ alum. Follow the food to find all the activities! Concrete Market: Sound Concrete Countertops and owner Duncan Susag is a 2013 Spaceworks’ alum and joined Spaceworks in order to further his business by securing a location to have a showcase room, gallery, and office called the “Concrete Market.” Duncan moved into his current space on March 1, 2014, renovated for one month, and opened his doors April 30, 2014. Sound Concrete offers artisan concrete designs for residential and commercial spaces. The Tshirt Men: The TShirt Men is a 2014 Spaceworks’ alum that makes your t-shirts. Custom made. All day. Owned by brothers Willie and David Combs, the shop also includes custom apparel, streetwear, and a sneaker showcase. The Tshirt Men moved into their current space April 1, 2014. They spruced up the place with new flooring and a coat of paint and opened their doors May 1. SPUN Clay Arts Studio & Gallery: SPUN owners Jennifer English and April Sanders went through Spaceworks’ training program in 2014, during which time they moved into their current space and began a two-month renovation, officially opening on Aug. 1, 2014. SPUN provides a patient, casual, and creative environment for pottery classes, open studio (‘Free Spin’), and the option to sell your work in the SPUN Gallery. Think of it as the dive bar for artists, where you are comfortable going in any attire, any time of day, at any age. DubCity Studios: Kerry Williams is a 2013 Spaceworks’ alum and owner of Monopoly Entertainment, which has a long history in Tacoma as a premiere promotions and marketing group for nightclubs, music artists, private parties, and other entertainment opportunities. Williams came to Spaceworks looking for a rehearsal space and has since acquiring his space he has developed his business model into a full production and rehearsal studio. Next week we’ll be posting about the art exhibits and films that’ll be part of High Five! In the meantime, follow us on Facebook and Instagram for the latest about our community celebration. See you in Hilltop on the 12th!